You all know how much I love Adrianne from Happy Hour Projects, right?! If you don't, you do now! Well I'm so excited to work with her again. This time, she's sharing some amazing ornaments that I know you'll just HAVE to make. Hello readers of Embracing Messy! 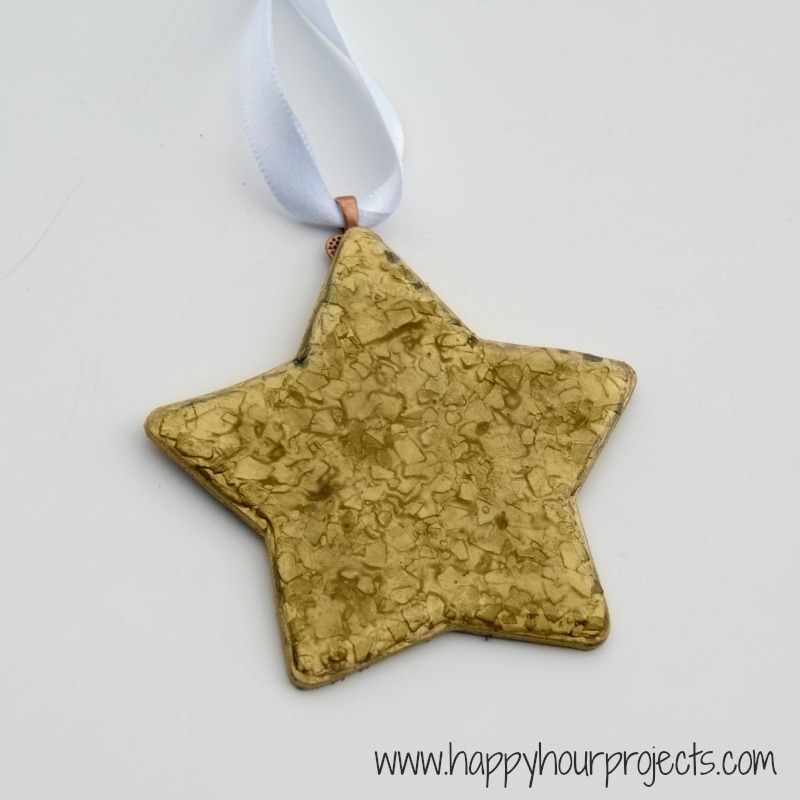 I'm Adrianne, and I blog over at Happy Hour Projects. I share craft and DIY-projects and recipes that you can make in an hour or less. 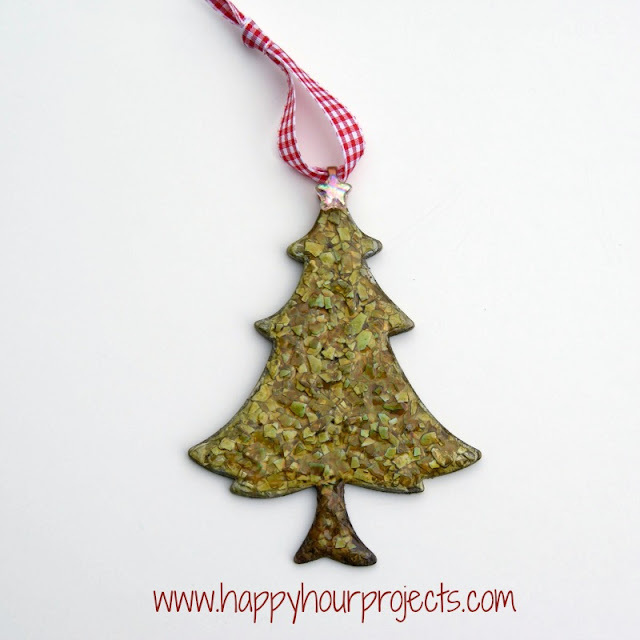 I'm glad to be here today as part of Kelsey's 25 Days of Handmade Christmas! Now that I've told you it's all quickie-projects at my blog... I have to confess that today's project will require several hours of drying time, so this is one of the longer projects I have to share. 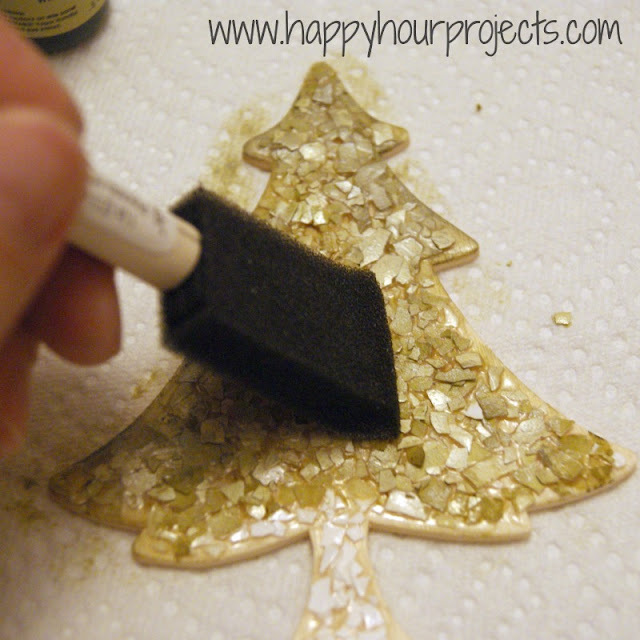 The work itself is under an hour, but it will probably spend some time on your craft table overnight. 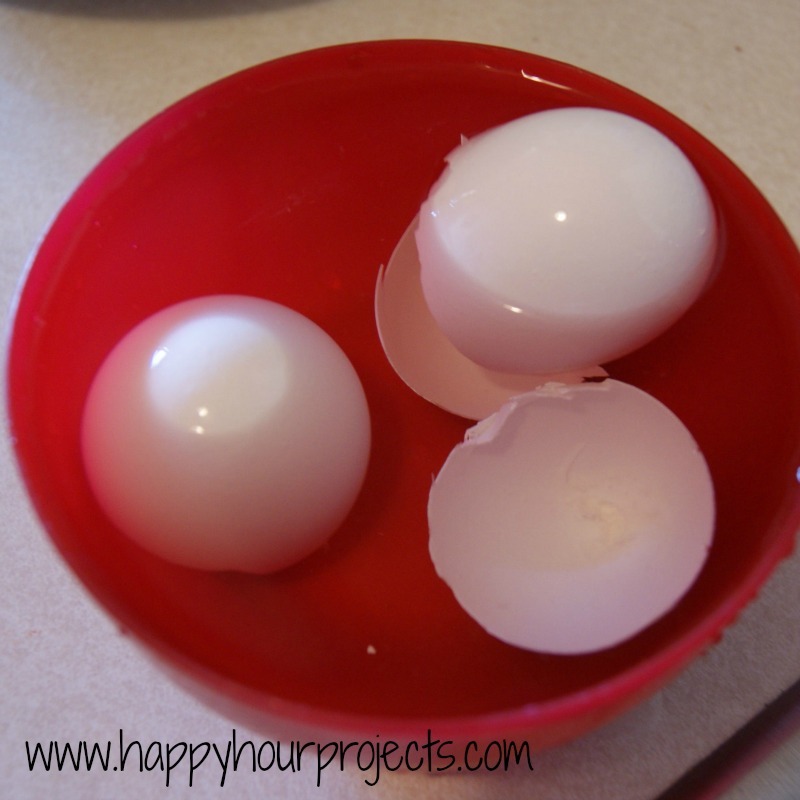 I've made a couple of projects with eggshells. 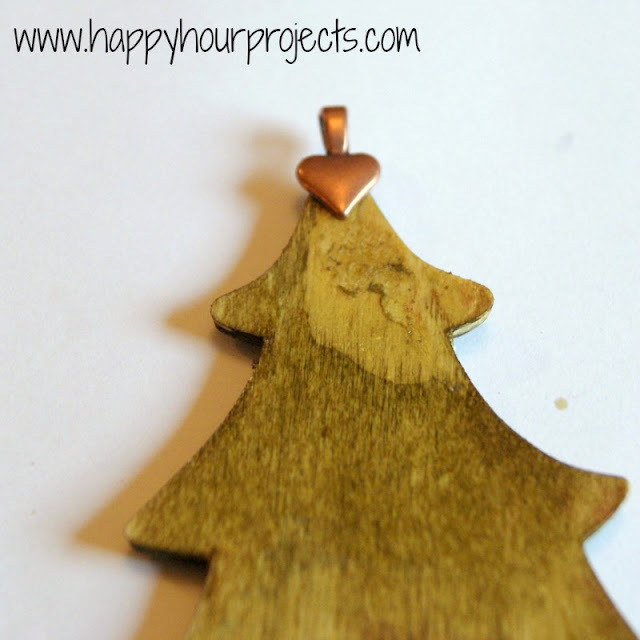 The technique can be applied to any base, and works wonderfully for jewelry projects. 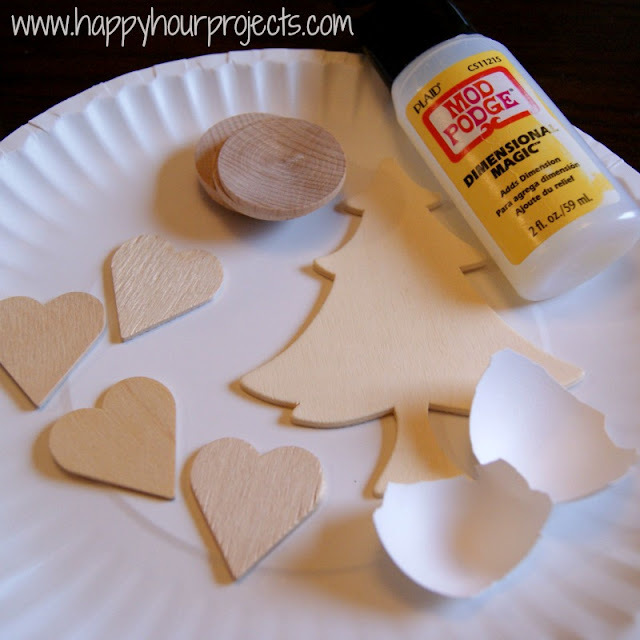 Eggshells - depending on what size ornament you are decorating, I will say you can usually get 2-3 ornaments from the shell of one large egg. 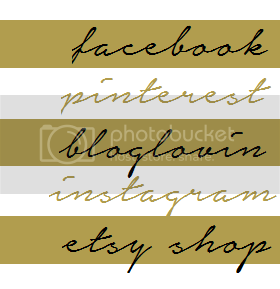 Alcohol Inks - these are available in the scrapbook and/or stamping aisles of your local craft store. If your eggs are very fresh, you may need to soak them a little longer. To remove the membrane, just break the shell gently, the membrane should stay intact and you should be able to just peel it right off. If it's not working well, soak it a little longer. Once you've cleaned your shells, they can be broken up into small pieces. 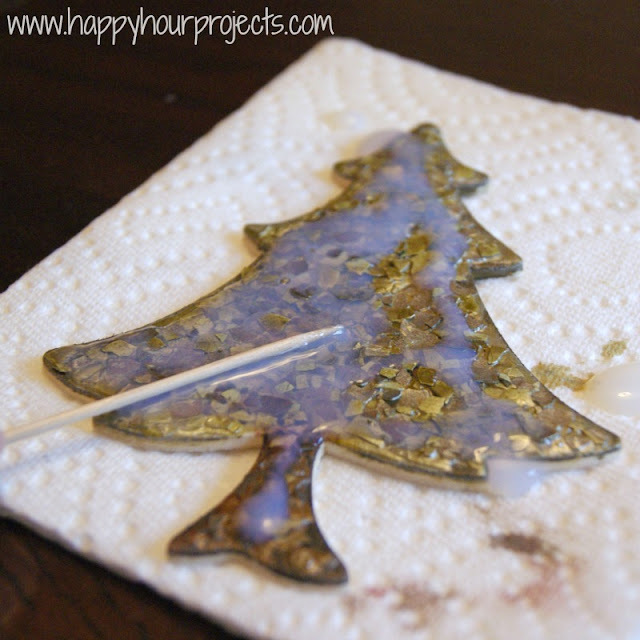 Cover your ornament base with a coat of glaze. You can use a toothpick to spread the glaze all the way to the edges. You can tackle the eggshells however you like, but personally, what I find to be easiest with a result I enjoy is just to crumble the shell into tiny pieces between my fingers and just sprinkle them on. Yes, some will be upside down. You can push the sideways ones over. But the ink you'll be adding in a few minutes will soak in differently to the front and back side of the eggshell. I really like the two different shades within each piece, personally. 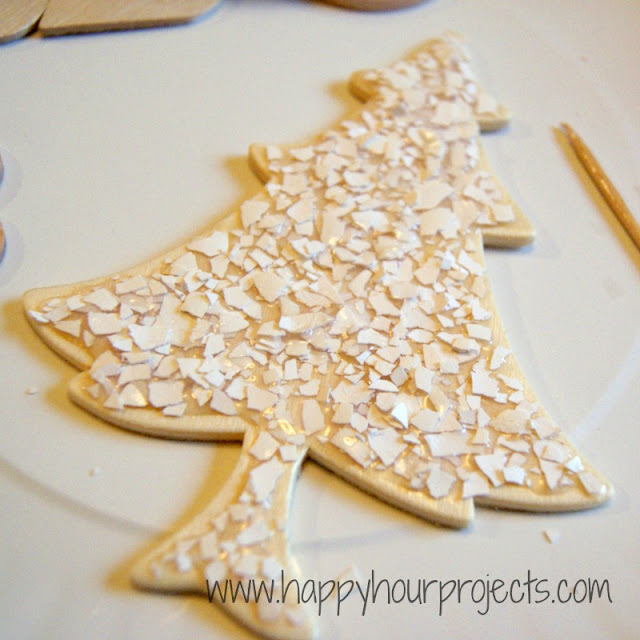 You will probably have to add a few extra pieces along the edges. For this, you can just dig the end of your toothpick in the glaze and use it to pick up additional pieces of shell to fit in. 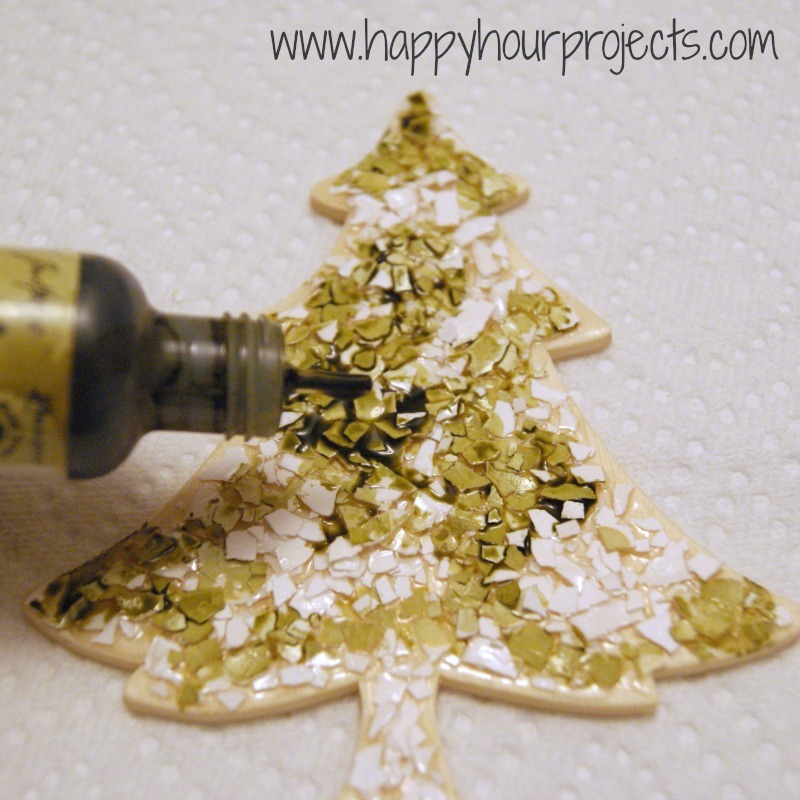 You don't have to cover every tiny crack of your base - the ink will help cover it up. Once you're happy with the coverage, let it dry. It may take an hour or two. 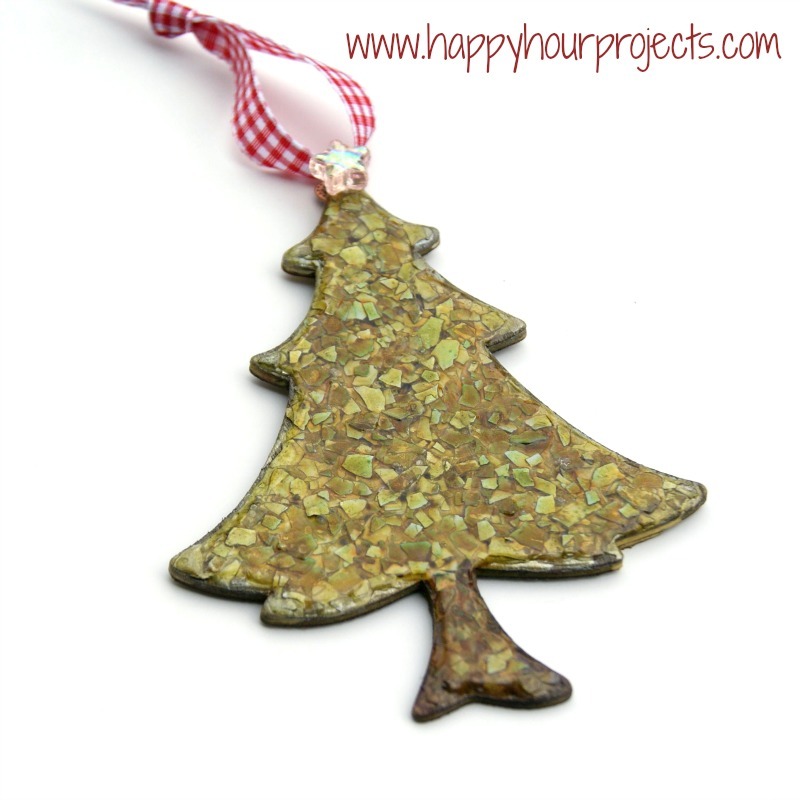 When it's dry, you can add a few drops of alcohol ink. Use a paintbrush or paper towel to spread it on. The more you add, the deeper the color will be, so you can keep adding until you're happy with the color. Make sure you add ink to the edges, and paint the back as well. It dries fairly quickly. A note - I didn't ink the backside of my ornament now, and I should have. I will show you in just a few minutes why it makes a difference! Once you like the color, then add a generous coat of glaze to the top of it. be sure not to shake the bottle of glaze before adding it, because you don't want bubbles (they will dry trapped in the glaze and drive you forever crazy... or... maybe that's just me?) If you do get bubbles, you can use your toothpick to pop them or move them off the edges. This will need to dry for at least a few hours - I usually do overnight. Thanks so much to Kelsey for having me here today, I've really enjoyed sharing a couple of my handmade ornaments! 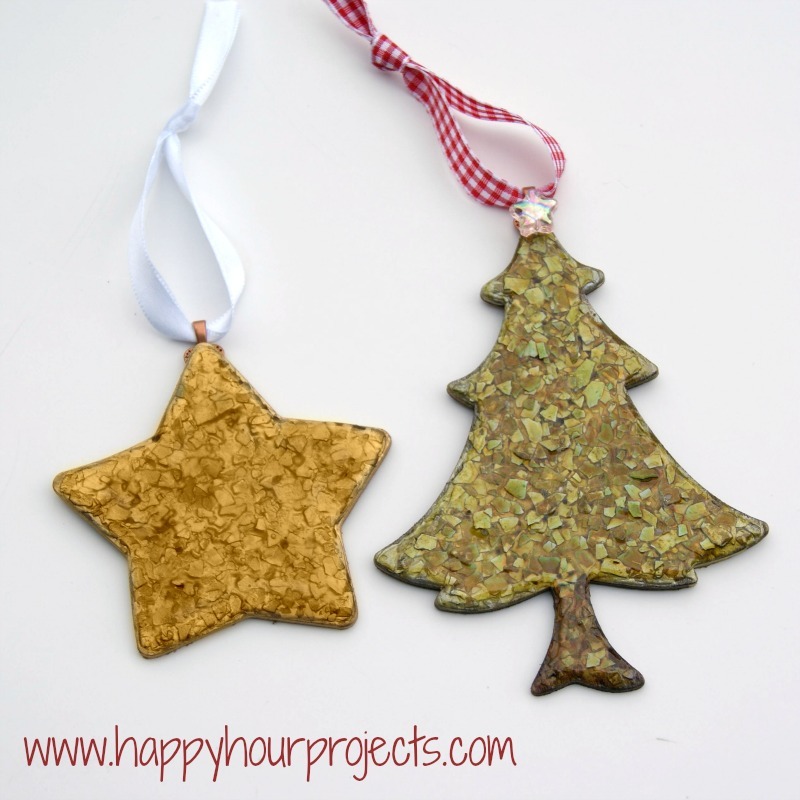 What kinds of ornaments are you making this year?